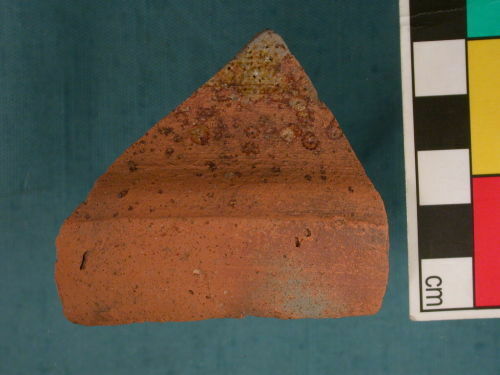 Rim and body sherd of pottery vessel. Orange fabric. Small amount of yellow/green glaze on the body.